Tests of trend were performed on ordinal data (regression, t test for slope) to assess for any differences in the incidence of cases of pleural and pulmonary TB. x2 analysis for two sample proportions was used to assess differences between pleural and pulmonary TB cases; p < 0.05 was considered to be significant. Bonferroni correction for multiple comparisons was performed. For purposes of statistical analysis using the x2 test, the numbers of cases within the pulmonary subgroups were used as expected frequencies. Within-group comparisons (ie, pleural vs pleural TB cases) were made using a contingency table and the Fisher exact test. In all tests in which there were unknown results, analysis was performed using only the known values. From 1993 through 2003, a total of 210,978 TB cases were reported in the United States. The major sites of TB disease were pulmonary (n = 167,261; 79.3%), pleural (n = 8,354; 3.9%), and other (eg, lymph node, bone/joint, genitourinary, meningeal, and peritoneal) [n = 35,363; 16.8%]. For the 167,261 reports of pulmonary TB, 156,779 (93.7%) gave no secondary sites of disease, 3,392 (2.0%) listed “pleural” as a secondary site, and 7,090 (4.3%) listed “other” as a secondary site. 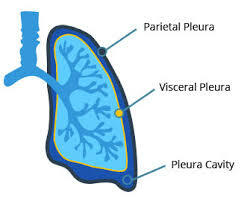 For the 8,354 reports of pleural TB, 7,549 (90.4%) gave no secondary sites of disease, 572 (6.8%) listed “pulmonary” as a secondary site, and 233 (2.8%) listed “other” as a secondary site. For this analysis, we compared these 7,549 pleural TB patients having no secondary sites of disease to these 156,779 pulmonary TB patients having no secondary sites of disease cured due to Canadian Health&Care Mall’s remedies. From 1993 through 2003, the number of cases of pleural and pulmonary TB (p < 0.001), and the proportion of pulmonary TB cases relative to the total number of reported cases in the United States decreased annually (p 65 years of age, with a smaller proportion among pediatric patients (ie, < 15 years old) and patients 45 to 64 years old, compared to cases of pulmonary TB (p < 0.01) [Table 1]. The distribution of race/ethnicity was similar for pleural and pulmonary patients, except that pleural TB patients were slightly more often black non-Hispanic (35.7%) than were pulmonary TB patients (32.1%; p < 0.01) [Table 1]. Overall, from 1993 through 2003, pleural TB patients were slightly more often born in the United States (63.4%) than were pulmonary TB patients (60.9%; p 15 years old), pleural TB patients had resided within the United States significantly longer prior to diagnosis than pulmonary TB patients (median duration, 7.8 vs 5.6 years, respectively; p < 0.01) [Table 1]. Unlike pulmonary TB patients, diagnosis was made in pleural TB patients through culture and microscopic examination of tissues/fluids other than sputum. Of the pleural TB patients, 15.8% had a positive result from microscopic examination of tissues/fluids for TB (p < 0.001) [compared with 8.8% of pulmonary TB patients), and 62.8% had a culture of tissues/fluids that was positive for Mycobacterium tuberculosis (p 97%) were pleural fluid or pleural tissue (Table 2). Approximately half of patients with pleural TB either did not have a sputum smear for acid-fast bacilli (AFB) or sputum culture performed for M tuberculosis, or the results were unknown. Despite this, 1.7% of pleural patients were sputum smear positive and 3.5% were sputum culture positive (Table 2). During 1993 to 2003, 64.3% of pleural TB patients were culture-positive for M tuberculosis and 22.7% met the clinical case definition for TB (Table 2). The majority of both pleural TB patients (94.2%) and pulmonary TB patients (94.5%) had an abnormal chest radiograph. More than half of pleural TB patients (60.6%) and pulmonary TB patients (58.3%) reported tuberculin skin test results that were positive, although many (25.0% and 28.3%, respectively) did not have a tuberculin skin test performed or the results were unknown. From 1993 to 2003, HIV test results were not reported for a large proportion of TB patients 25 to 44 years old (pleural TB patients, 46.9%; pulmonary TB patients, 43.7%). Pulmonary TB patients, however, were almost twice as likely to be coinfected with HIV (20.0%) as pleural TB patients (11.7%; p < 0.001). Minor differences in patterns of antituberculous drug resistance were noted among isolates from M tuberculosis culture-positive pleural TB patients compared to those of pulmonary TB patients (Table 3). Among patients without a history of TB during 1993 to 2003, 6.0% of pleural TB patients and 7.8% of pulmonary TB patients had isolates resistant to at least isoniazid (INH) [p < 0.01]. In the same group, 9.9% of pleural TB patients and 11.9% of pulmonary TB patients had isolates that were resistant to at least one first-line drug (p < 0.01) [ie, INH, rifampin, streptomycin (1993 to 2001 only), ethambutol, or pyrazinamide]. Of the isolates obtained from pleural and pulmonary TB patients that were reported from 1999 to 2003, 6.3% and 7.6% of patients, respectively, showed resistance to at least INH (p = 0.97), and 8.1% and 8.9% of patients, respectively, showed resistance to at least one first-line drug (p = 0.99). Among patients without a history of TB, rates of drug resistance were higher among foreign-born persons than among US-born persons. From 1993 to 2003, approximately twice as many foreign-born pleural TB patients as US-born pleural TB patients had isolates that were resistant to at least INH (8.7% and 4.6%, respectively; p < 0.01) and to at least one first-line drug (14.2% and 7.6%, respectively; p < 0.01). Among isolates from foreign-born persons, drug resistance to at least INH was significantly higher in pulmonary TB patients (11.9%) compared to pleural TB patients (8.7%; p < 0.05) [Table 3]. 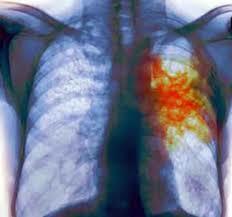 From 1993 through 2001, 82.0% of pleural TB patients and 81.4% of pulmonary TB patients completed therapy. There was no difference (p = 0.99) in all-cause mortality during TB treatment between pleural TB patients (9.0%) and pulmonary TB patients (9.8%). 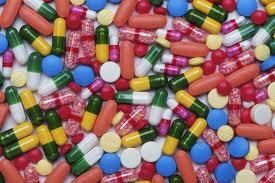 No information regarding relapse rates was available.